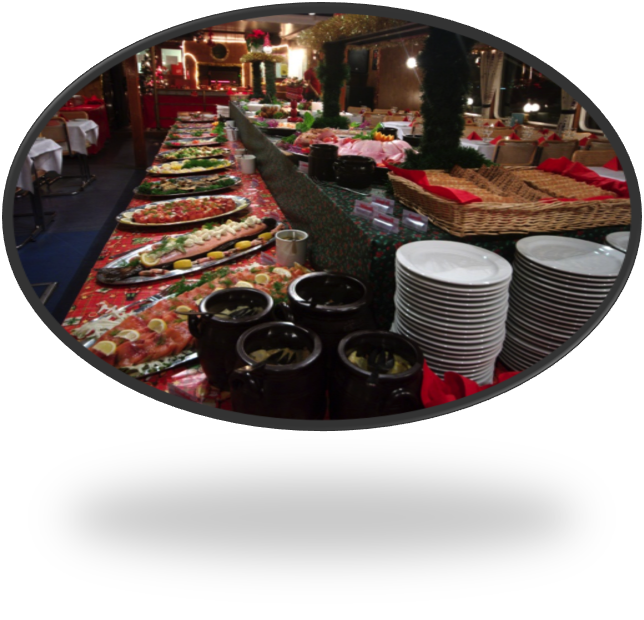 It’s time for our traditional Christmas Cruise Buffet! All the old classics are still around. Christmas ham, pig’s feet, our own pickled herrings, home made meatballs, sausages, Christmas sausage, homemade “Jansson’s temptation”, lutefisk with white sauce and peas, honey glazed pork ribs, marinated salmon & smoked salmon. To this we have added several dishes with a marine theme such as smoked prawns, shrimp, caesar salad with smoked salmon, smoked fins of salmon, seafood pate & homemade “skagenröra”. Onboard our troubadour will entertain you with live music – chosen just for you. Warm and cozy onboard a ship decorated in the true christmas spirit. The ship opens 30 minutes before departure!